So last night in my channel surfing,which doesn't take very long when you don't have cable, I stumbled across two of my favs...Barry Manilow and Neil Diamond. First there was Barry on Leno who was singing a sappy love song like When a Man Loves a Woman or somthing, so I quickly changed channels. Then, about 10 minutes later, there was Neil on Oprah singing America, Hello Again and Sweet Caroline. There I was belting out the songs right along with Neil while still laying in bed. 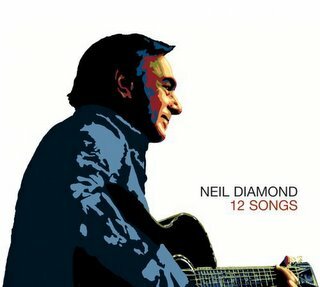 And I thought, I love Neil Diamond.....I am such a dork! And now I have admitted it which is the first step. And I see that Neil came out with this new CD and according to the reviews it is supposed to be fabulous, so I have officially added this to my bithday list. Then I am a dork right along with ya!!! I love Neil. You don't wanna know how much I paid for tickets to see Neil in '97. It was insane. Love him, love him, love him. I love the song One Good Love. Make my heart melt...okay gotta run & pop in some Neil.